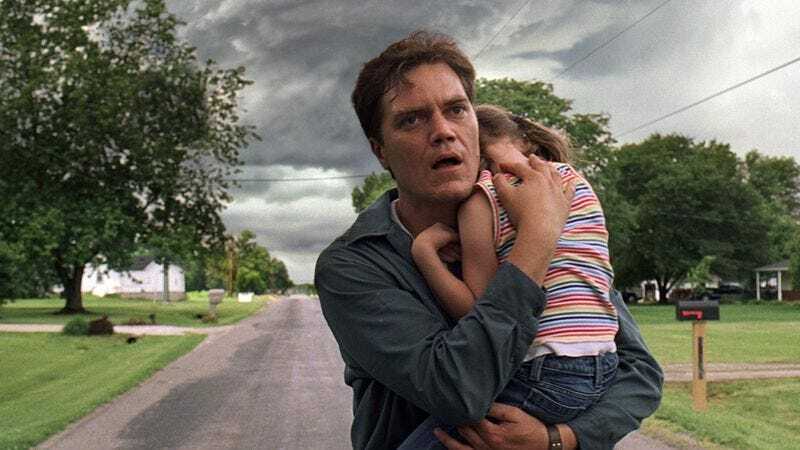 After what we can only assume were long days of wandering around his house, annoying people by distractedly asking what the hell it was he’d been forgetting to do, Jeff Nichols has slapped himself in the foreheard and cast Michael Shannon in his latest movie. Shannon will continue his decade-long staring contest with Nichols’s camera by playing a real-life photographer, Grey Villet, in the historical drama Loving. The film tells tells the story of an interracial couple, Richard and Mildred Loving, who fought for years for the right to live together as a family. Joel Edgerton and Ruth Negga will play the title pair, with comedians Nick Kroll and Big Time In Hollywood, FL’s Jon Bass taking their turns at the “funny guy in a serious movie” role that crops up every couple of years or so. Loving will be Shannon and Nichols’ fifth film together; they first teamed up on the director’s 2007 debut, Shotgun Stories, before going on to earn shared acclaim for the ominous psychodrama Take Shelter. Shannon has appeared in every single one of Nichols’ films, showing up any time the writer-director needs something stared at, possibly to the point of explosion. The pair recently finished shooting on a science fiction road movie, Midnight Special, which also stars Edgerton, who’s going to need to work on his “bug-eyed borderline madness” skills if he wants to continue running with this fraternity of wide-eyed men.